Thank you all for the calls, texts, snaps and posts! 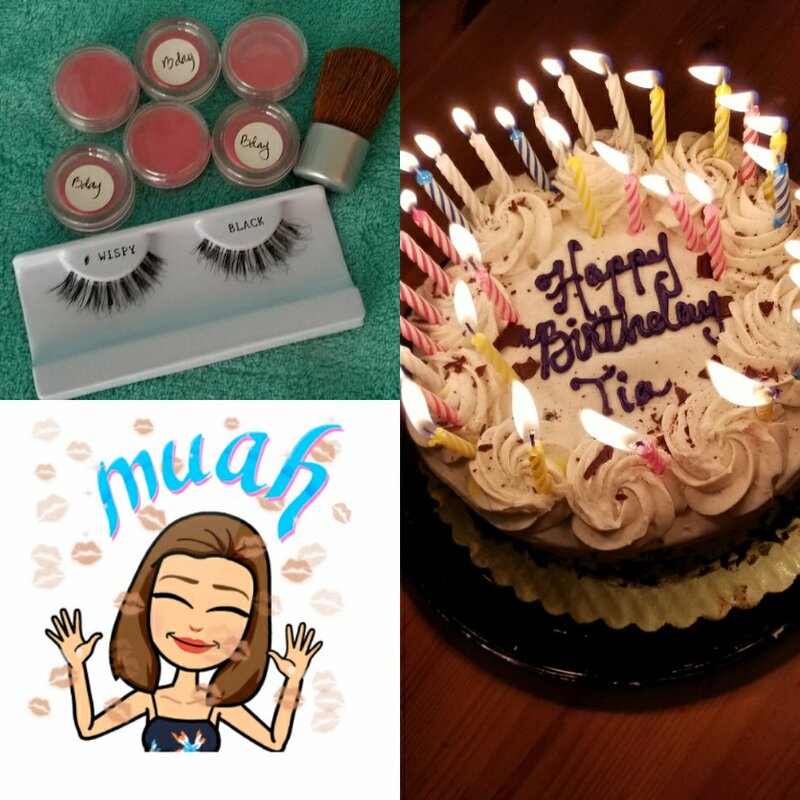 I had an amazing birthday and will be giving away samples to my favorite blush called “BDay*!” It is a special blend of two different pink pigments that can be lightly applied with the mini kabuki or full-sized blush brush for awesome, full cheeks! There will be six total giveaways¤ of blush, mini kabuki**and surprise beauty samples! One lucky follower will receive a pair of black Wispy Lashes***! Thank you again & good luck 🙂 You all sure do know how to make a girl feel special! *BDay Blush : Made In USA (Ingredients: Arrowroot Powder, Mica, Titanium Dioxide, Iron Oxides) ** Mini Kabuki : Made in China ***Wispy Lashes : Made In Indonesia . ¤Keep all items away from small children due to chocking hazard. For external use only. Rules: Promotional Sweepstakes only valid August 16, 2016 until 11:59 p.m. MST. No purchase necessary. Void where prohibited by law. Must be 18 years old or older. Valid for legal residents of the 50 states of the United States of America, including territories Guam and Puerto Rico. Immediate family members of the owner and sponsor, Tia Terlaje Beauty LLC, are to be excluded from sweepstakes. Winner must claim if required by law in his/her city, county, state, district, etc. Winner forfeits prize if s/he does not provide valid mailing address by August 31, 2017 by 11:59 p.m. MST. Website assumes no responsibility for incorrect data or delayed/lost/stolen mail. Odds will vary. The opinions and content were not influenced by any form of compensation. Facebook, Instagram and SnapChat have no affiliation to this sweepstakes. Owner reserves the right to publish winners. The prize(s), product brand(s) and parent companies have no involvement in this sweepstakes. Winners will be contacted directly. A list of winners may be obtained by submitting a SASE postmarked by August 31, 2017 to: Tia Terlaje Beauty LLC, ATTN: BDayBlushGiveaway, PO BOX 44204, Denver, CO 80201. Previous Post Ever spent less than $1 at Victoria’s Secret? I just did today!